The remarks come after a tumultuous couple of weeks for the Trump administration, which saw Trump fire the FBI director May 9 and then undermine his own senior aides on his reasons for doing so — moves then capped by a report in The New York Times that Trump discussed the dismissal in meeting with senior Russian officials in the Oval Office the day after Comey’s ouster. The White House did not respond immediately to a request for comment on J. Brien Comey’s statements. Unlike the former FBI director, who so far has kept quiet about his firing, Comey’s father had some very strong words about the FBI director’s dismissal. Comey said he has a close relationship with his son, whom he sees on holidays, and had just spoken with him earlier Saturday morning. He is expecting a visit from Comey and his wife to his New Jersey home in a few weeks — the same house where Comey grew up with his three siblings. Comey is coping well with his termination and the storm that originated from it, his dad said. 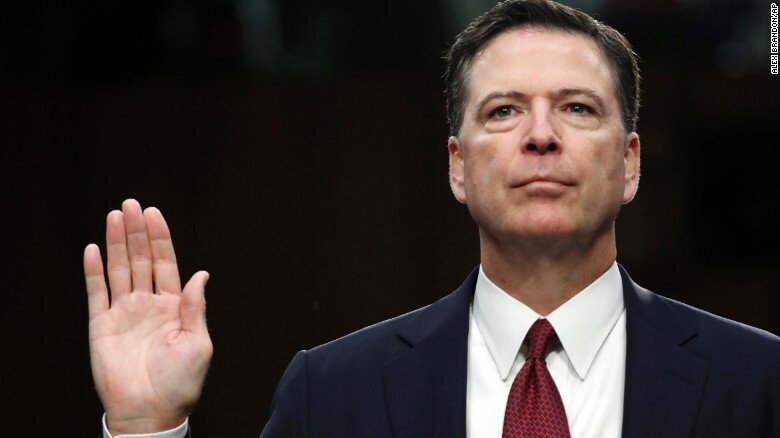 When asked what his son thinks will now happen to the FBI’s investigation of contacts between Trump campaign aides and Russians, Comey said he didn’t know. “We never talked about that stuff,” he said.